Bret Easton Ellis, author of modern classics such as "Less Than Zero" and "American Psycho" takes the reader into an uncategorized genre with this novel, "Lunar Park." What at first seems like a memoir listing the trials and tribulations of a young man that becomes a famous author while still in college ("Less Than Zero") and then becoming part of the Literary Brat pack and living the Rock and Roll lifestyle. Bret becomes an addict and loves the groupies the fame and the drugs. But this book takes an odd turn and the reader realizes this is no memoir. The book soon becomes a sort of a haunted house horror novel. Basically what has happened in "Lunar Park" is that Bret has written himself in as a main character with a haunting past. The drugs, no ability to maintain a lasting/meaningful relationship and a verbally abusive father. The Bret Easton Ellis in the novel may not be too far from the real life Bret Easton Ellis, but keep in mind, it is a novel. Bret Easton Ellis has lived the most extreme of celebrity lifestyles and even fathered a child with a model, Jayne Dennis. The only problem is that he denied he was the father (he claims that Keanu Reeves is the father). After years of continuously hitting bottom; there are tales of his publisher having to send a handler out with him on book tours to make sure he does not imbibe, but most of them quit, not able to handle the downfall. Finally Bret's ex-girlfriend decides to take him in and maybe establish a family and help Bret get better. She has not only Bret's son, now 11, but also a 4 year old fathered by a record industry mogul. This already doomed family moves into a "McMansion" in suburbia in the northeast United States. They send their children to elite schools and keep the kids medicated on all the latest drugs, Ritalin, etc. Bret decides to throw a Halloween party and this is where the horror begins. He soon becomes haunted by his father, who ignored him as a child but once Bret became rich and famous, tried to become part of his life. He is also strangely being haunted by the main character from his novel "American Psycho." All this while trying to become closer with his son and trying to form family bonds and dealing with the communities strange string of murders and missing children. At the apex of this haunting story, the family is chased from their home by a carnivorous toy, and the home they are living in changing form into the home in which Bret was raised. Very interesting story and some very good haunting, this horror story definitely would give Stephen King a run for his money. Conrad Harrison receives a large inheritance from a father he hardly knew. In returning to his home in Los Angeles, Conrad stops in rural Wisconsin and buys a house. The century-old house was once a birthing house, where midwives delivered babies, whose history remembers countless deliveries of babies, both alive and dead. Conrad is immediately drawn to the house and goes back to Los Angeles to get his wife, Jo, so they can start over. Their marriage seems to be on the rocks, especially when arriving in L.A. Conrad finds a man with his wife. They move to the house and begin working on their marriage. Jo doesn't feel comfortable in the house and quickly goes to Michigan for a job opportunity. While Conrad is home alone during her training period the old owner of the home stops by to drop off a photo album that has a history of the house. Looking at a photo album, Conrad sees a picture of his wife, staring back at him in rage. And from there we are launched into a horror story of possession, obsession, and murder, as Conrad descends into madness, where reality and dreams seem to blend until Conrad is completely unaware of what is real. While Jo is gone, the neighbors take Conrad in and welcome him to the neighborhood by inviting him over for dinner. Here he meets all the neighbors and more importantly the rebellious pregnant daughter. Soon after he rescues the girl from an abusive boyfriend and shows her his project which is to try to breed some rare snakes that almost never breed in captivity. The girl points out that if this is true then they have a miracle when she discovers 9 eggs in the snake's cage. This is a female snake that has never been with a male. Strange visits from ghostly apparitions, bizarre and violent behavior in his dogs, and an odd attraction to the pregnant teenager next door plague Conrad Harrison as he tries to understand what is happening to his sanity. Meanwhile, his wife becomes impossible to reach after admitting to him that she, herself, is pregnant but it can't be Conrad's. This audio book is one of those haunted house stories that leaves you with chills and perking up every time you hear a sound. At the same time this haunted house story is based on births not just deaths like most haunted house stories. Edward Herrmann is very convincing in reading this story, in that he captures every nuance and chill with the subtleties of his voice. When the main character Conrad is in his deepest state of the haunting, Herrmann's voice takes on an even more haunting chill which pulls the listener into the story so that escape is impossible. In the modern world the internet is king. This is proven simply by you reading this review here online. 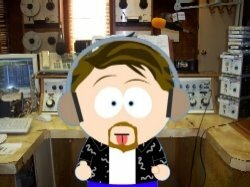 David Moody took advantage of the mass audience created by the internet, by first publishing his book "Hater" online. Once the novel became popular publishers scrambled to make this book a publishing success. Now "Hater" is available as and audio book, and I'm here to tell you this apocalyptic novel is well performed by Gerard Doyle and Blackstone Audio. In "Hater" the world seems to be tearing itself apart through the madness of man. Seemingly normal people are reacting as if a switch goes off and suddenly killing their fellow man. In the beginning of the book the main character, Danny McCoyne, through whose eyes we watch the destruction of society, witnesses a man in morning rush hour foot traffic attack an elderly woman with brutality unexplained. The man viciously attacks and doesn't stop until he finally kills her by stabbing her with an umbrella. When the crowd tries to stop the man he turns on them and fights to the end. Upset by the scene Danny arrives at work shaken. Danny is an everyday average guy with a wife and three children who works in the parking division for the city. His job consists of a constant barrage of anger from the people who get tickets or worse, their car gets clamped. He is also under constant scrutiny from his supervisor. So Danny has a bit of anger he keeps under control all the time. But no anger he holds could measure up to what horror unfolds in his world. As the days progress Danny is witness to several people snapping and just killing without remorse and always in brutal fashion. One of Danny's children's school has a child that snaps and brutally attacks and kills a teacher. Soon the television news is reporting several of the violent crimes and it seems something is happening to the city. Those that snap are soon labeled as "Haters." The big question is, what? Is it a virus, a disease, mental instability? Soon the government steps in and takes over the news broadcasts, issues pamphlets and worse yet send out troops and begin gunning down the "Haters." Danny and his family take the government's advice and lock themselves inside the house but with a "Hater" being anyone are they locking out the danger or locking it in? Gerard Doyle delivers this first person view this end of the world novel with great vocal command. He portrays the gamut of emotions as seen through Danny McCoyne's eyes, flawlessly. David Moody has written a piece here with intense drama and horror that keeps the listener to the audio book constantly looking into the eyes of a stranger to make sure they are not a "Hater." As a very interesting side-note; filmmaker/Author Guillermo del Toro has purchased the movie rights to this book and is in production to be released some time in 2010. Here it is folks the ultimate haunted house book, "Hell House" by Richard Matheson. The man that brought vampires (or zombies,depending on how you look at it) to life in the book "I Am Legend," created a very chilling story about the ultimate haunted house. This is the book that inspired the 1973 film "The Legend of Hell House" which starred Roddy McDowell, yes the "Planet of the Apes" guy. Anyway before we go much further let me warn you this one is not for those that have a low tolerance for bad language. The evil of this house is created through one man's excursions and the people that lived and died in the house did some very evil things, and in the playing out of some of the actions and possessions some very colorful vernacular is used. So be prepared. The reader of this audio book, Ray Porter, does a phenomenal job of separating characters vocally and delivers the horror with the right level of chill too keep your hair standing on end. Without using digital effects Ray's voice portrays those of the haunting spirits as though the disembodied voice is right there with you, okay, i know that technically it is, with an audio book, but he does things with his voice that may creep you out. The story follows four people; Dr. Lionel Barrett, a physicist out to prove that hauntings are merely electro-magnetic parts of nature, his wife Edith, Florence Tanner, a medium who will help clear the house of its spirits and Benjamin Franklin Fischer, a medium and the only survivor from previous excursions to Hell House. A very rich man on the edge of life wants to find if there is, or not, life after death. The perfect place to prove this is the notorious Belasco House, Hell House. Two different groups of people have visited Hell House to explore the haunting and only one has survived. The house's original owner, Emeric Belasco, was know to throw parties in which all party goes reveled in evil. All manner of sin is said to have occurred and many people died in the house during these parties. Belasco's body was never found and his evil is said to destroy all who enter the house. The hired experts have to spend a week in the house to clear out or to prove the evil of Hell House. Immediately they are treated to the evil that is Hell House. From rocking chairs that rock on their own to violent attacks the party learns they are not welcome. Dr. Barrett has a machine that will clear out the haunting by using the electro-magnetic energy, but before he can get his machine running he must first survive the attacks and possessions. This is one of those books that I so badly want to talk about the horrifying adventures, but the element of surprise is what makes this book such a great ghost story. So when listening remember even with the lights on or with someone keeping you company, it is not safe. Let's start this review out by saying, "Whow," that would be the combination of whew and wow together. The whew from the the tension filled time you will spend listening to this audio book. The wow from the exclamation you will expel from listening to this re-imagining of the world of vampires. 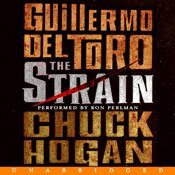 Guillermo del Toro, creator of such films as "The Devil's Backbone," "Blade II," "Hellboy" (I & II) and "Pan's Labyrinth," has teamed up with author Chuck Hogan (author of "The Standoff" & "Prince of Thieves) to create "The Strain." This book is part one of what is slated to be a trilogy. I will attest to the idea that this audio book can be treated as a stand alone book with great action and a conclusion, but there is a cliff hanger that will leave you wanting more, thus the trilogy will be absorbed by me. Ron Perlman, who you may know as the star of the "Hellboy" movies or maybe as "the Beast" in the TV series "Beauty and the Beast," does a very nice job of performing this book. At times he almost seems monotone in quality but that is easily justified by the idea that he is allowing the listener to make the story in his mind. Don't get me wrong, monotone is necessary in some areas, but Ron Perlman delivers the action with a punch, slows down just right for the tense moments and keeps the voice quality different for each character. He does a smash-up performance in the voice of Professor Abraham Setrakian, a survivor of a Holocaust death camp and now vampire hunter. The story begins in a post-9/11 New York City where a Boeing 777 has landed at JFK airport. The landing is perfect and without event, however once the plane begins taxiing it just merely stops and loses all power. The air traffic controllers need the strip for other planes to land and after repeated attempts at communication send a baggage cart out to investigate. The driver of the baggage cart sees a dead airplane with no lights anywhere and all the widow shades closed. The drive gets the feeling of being watched and immediately flees. Everyone suspects a hi-jacking or possible bomb but when the team arrives to investigate they find everyone on the plane dead. Dr. Eph Goodweather, head of CDC's rapid-response team that investigates biological threats, is ordered to get his team on the plane and investigate. What he finds is a strain of parasite that could lead to the extinction of mankind. That strain of parasite is what is delToro's & Hogan's re-imagining of vampirism. Vampires are all controlled by parasites. In this book there is more than just attacking vampires, there is a war being waged. Who will survive? 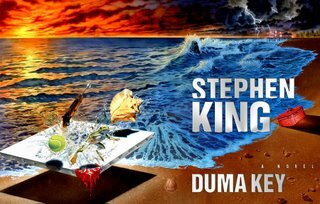 For the 13 plus hours it took to listen to this audio book I was completely enthralled by the great story telling, the complex story line and intense drama and thrills. This has got to be one of the best vampire books I've heard in a long time. Bram Stoker had me scared, Stephen King's vampires had me startled, Anne Rice had me wanting to become a vampire, but after this one...I'm carrying silver and keeping an eye over my shoulder. Jim Ironheart gets mysterious messages, telepathically, to go and save someone from sure death, usually children. Jim doesn't know where this power to know the future comes from and just assumes it is God working through him saving people that could die. Jim just gets the message "lifeline," and is off all he needs to know comes to him as needed and usually at the last minute. When Jim saves a boy from being run over by a drunk drive outside a school in portland, reporter, Holly Thorn, wonders how Jim knew which kid to save. Holly sees a story in this. She soon discovers that Jim has saved several people all over the nation from impending doom. After approaching Jim on one such mission in which he is to save a mother and her daughter, Holly asks why not save all the passengers. Jim only receives enough information to save these two. Holly presses for Jim to take MORE action and he ends up saving most of the passengers by telling the flight crew what will happen and how to reduce the death toll in the crash. On the ground in the rubble of the plane, Holly then rescues a 5 year old boy and something changes in her. She no longer sees the world in the view of a reporter. She now wants to help Jim to save the world. In order to join forces with Jim Ironheart there are some issues which need to be addressed. Such as Jim's dark past and the mysterious source of his life-saving messages. Holly and Jim find themselves exploring Jim's past in the town he grew up living with his grandparents. His parents died tragically when Jim was only 9. The source of the power seems to come from the bottom of a pond beside an old windmill on Jims boyhood farm. Or is this really the source. It what turns out to be a great exploration of the supernatural to discover Jim's powers, Holly may have inadvertently put both their lives in jeopardy. The excitement, chills and thrills are just beginning when the "alien" in the pond begins to reveal itself. As typical with Koontz' work this book has great characters discovering themselves. At the same time another great Koontz skill is his beautiful use of language. This book is even furthered with several quotes from Edgar Allen Poe and Koontz weaving those into the story. 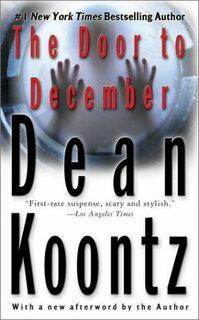 Yes, this is another classic Dean Koontz novel that deserves to be re-discovered. Every so often you have to go back and revisit an old Dean Koontz novel and get some good old fashioned chills. Even Dean himself has to do so. 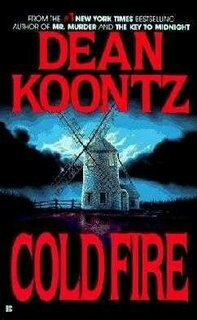 This book was originally released in 1985 under Dean's psuedonym Richard Paige but has been re-released under the proper artist's name, Dean Koontz. This book is a classic Koontz novel. It features the hero with a soiled childhood, in this case Dan Haldane the police detective that takes on they mysterious case of Melanie Rafferty. Melanie is a 9 year old girl who was kidnapped by her father, Dylan, 6 years prior after Melanie's mother, Laura, filed for divorce. The story begins with Dylan's house the scene of a brutal crime in which he and several "occupants" have been found bludgeoned to death. Melanie is found wandering the streets of L.A. naked and in a catatonic state. Lt. Dan Haldane calls Laura to the scene to try to put together what happened. Laura hasn't seen or heard from her husband and daughter for 6 years. What happened in that 6 years immediately sends a chill up the reader's spine. In this house which was the base of research for Dylan Rafferty, who was a psychologist performed a series of bizarre psychological experiments. To make matters worse it becomes clear that Dylan had been using his daughter as the main subject of his experiments, strapping her to a shock therapy chair and isolating her for hours in a sensory deprivation tank encouraging her to discover the full potential of her psyche. As the police continue to investigate the murder other bodies start to appear. In each case the victim seems to have been killed in a very extreme way far beyond the abilities of any normal person. At first the victims don't seem to have anything in common but as the investigation continues they start to discover that all of the dead were somehow linked and this link is that something (not someone) is killing those involved in Melanie's experiments. The link also leads to find what was actually being studied and who was funding the experiments. This is Dean Koontz's classic thrill package wrapped within the covers in this book. A little paranormal activity and great characters to follow to the ultimate battle of the psyche.